Candy is without a doubt one of the main highlights of Halloween, but how do they rank against each other? Over 100 SA students were surveyed out of the ten most popular candies to find out the favorites. Reese’s Cups was the highest chosen candy out of the 10, deserving the number one spot on the list. 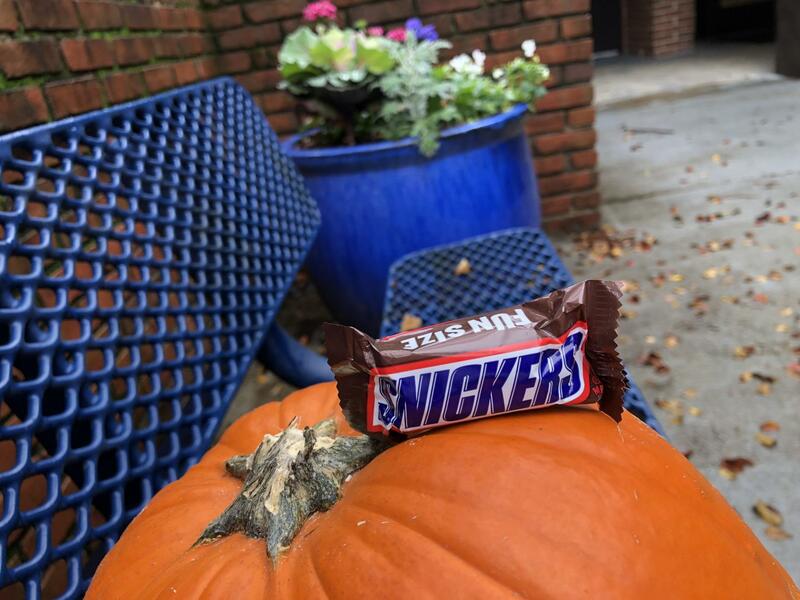 A milk chocolate cup filled with a peanut butter wafer is one of the most delicious halloween snacks of them all, becoming the fan favorite among students at SA. “I always wanted to eat one of those delicious peanut butter cups, but they tend to hit me different than the average kid,” Sam Roffwarg said. The Candy coming in at second place is also a chocolate bar. Like Reese’s, Kit-Kat also features a chocolate outside with a crunchy wafer on the inside, but without peanut butter flavoring. Sour Patch Kids is a classic among candy eaters which caters to those who enjoy more sour flavors. Featuring several different flavors such green, red, orange, blue, and yellow, there is a lot to love about the sugary candy. “My favorite flavor is blue, but the worst flavor is yellow by far,” Junior Noel Wiggs said. Twix is the 4th most popular candy voted on this list. Twix is another classic candy bar which features a wafer with caramel covered in creamy milk chocolate. “I prefer to eat them frozen. My least favorite part about the candy bar is the wafer on the inside,” Mauri Davis said. Coming in at the 6th most spot on the list is Twix. Different from other chocolate bars on this list, Snickers features nougat topped with caramel and peanuts enrobed in milk chocolate. M&M’s are a chocolate candy that have been around for decades, making them a classic for candy lovers. “My favorite part of eating M&M’s is getting the little messed up one because it has that extra flavor and texture,” Junior John Ray said. Sour Gummy Worms have been around since the early 1980s, becoming a fan favorite by many in their tenure. There are several different flavors, including Orange-Lime, Cherry-Lemon, and Strawberry-Grape. 3 Musketeers is another chocolate bar on the list featuring a nougat wafer covered in a fluffy chocolate shell. 3 Musketeers was one of the most popular candies bought in Halloween of 2017, so it is a surprise to see it come this low on the list. The Blow Pop is the only lollipop on this list, but still receives the 10th spot from SA students. Flavors include: Sour Apple, Cherry, Grape, Strawberry, and Watermelon.